Out of the several high-end and hard-hitting marketing techniques that have made a major impact in kicking a business upstairs is SMS marketing. This marketing technique is utilized by almost every industry to market their products on a massive scale. Businesses that have followed SMS Marketing have witnessed a massive growth in traffic increase and ROI. In fact, a variety of persuasive reasons suggests as if why mobile phone messaging is still a very influential channel. To support the growing popularity of mobile phone messaging, the point to consider importantly is that there are billions of mobile phone users from all over the world and with that said, more than 7 trillion SMS messages are sent on a yearly basis. Considering the fact, it is easy to understand the massive significance of mobile devices in our day-to-day life. Just like the email subscription or shopping carts, you should offer trouble-free options to your customers to let them choose either they want to be contacted or not. Several companies are using a variety of short codes to meet this need. The better idea is to start using vanity short codes. SMS promotion works wonders for retail shops and if used properly by sending SMS on a high time during a day to maximize business sales. The factor of time plays a critical role since if you send SMS at the odd hours of the day or night then it will act as a catalyst to move your potential customers away from your business. Creating and sending a value-added message is something that virtually every veteran marketer does. It works very effectively for every mobile phone because users are very watchful about offering their mobile number. It is important to create messages scrupulously with some value incorporated into it. This way, you will always be appreciated by your target users. A distinct message is a must for an SMS Marketing Campaign to make a real smasher since it is a commonplace that no one reads a lengthy message or messages. Creating a succinct message, you can easily send your business message to your target group. In order to do this, keep the communication clear from the beginning and fulfil your users’ expectations by sending a message on the right time and at the appropriate frequency. This tactic will wonderfully cut down the confusion and un-subscriptions to a great extent. 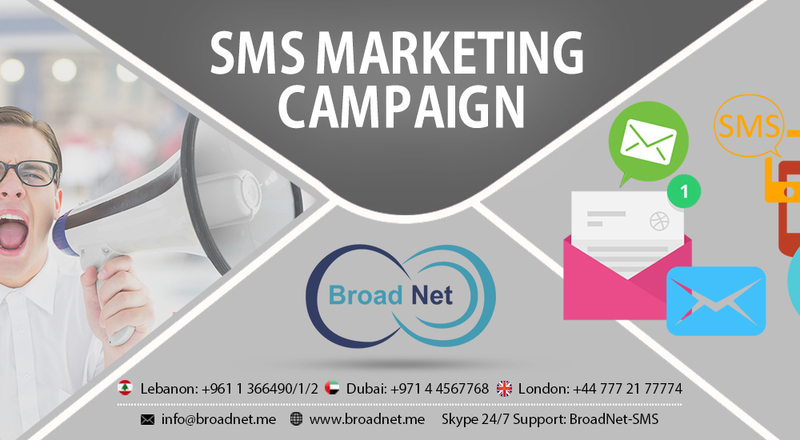 SMS campaigns can be a great challenge to get right. While spam in email is something customers often overlook (thanks to spam folders), they are not the right thing, as used to it with SMS. That gives the impression that you want to find the right equilibrium between the content of your message and the time when you send it.